New patients receive 15% Off their first visit. Sign-up using the form or call us at 718-934-0554 to take advantage of this exclusive offer. Located in the heart of Brooklyn and the upper-west side of Manhattan, Dr. Richard Nunziata D.C. is dedicated to helping you achieve your wellness objectives -- combining skill and expertise that spans the entire chiropractic wellness spectrum. Dr. Richard Nunziata specializes in the treatment of scoliosis and sports injuries and he's committed to bringing you better health and a better way of life by teaching and practicing the true principles of chiropractic wellness care. Patients seeking treatment with Dr. Richard Nunziata are assured of receiving only the finest quality care through the use of modern chiropractic equipment and technology. Dr. Richard Nunziata and the staff have a genuine concern for your well-being! Click on our Contact Us page for directions to our two convenient locations in Brooklyn and Manhattan. If you are new to our website, please feel free to discover and learn about chiropractic wellness. If you are interested in starting your journey towards wellness please subscribe to our award winning newsletter. If you are already a newsletter subscriber, please explore the member wellness section of our website for wellness articles, resources, and health facts---specifically targeted by Dr. Richard Nunziata to your wellness needs and interests. 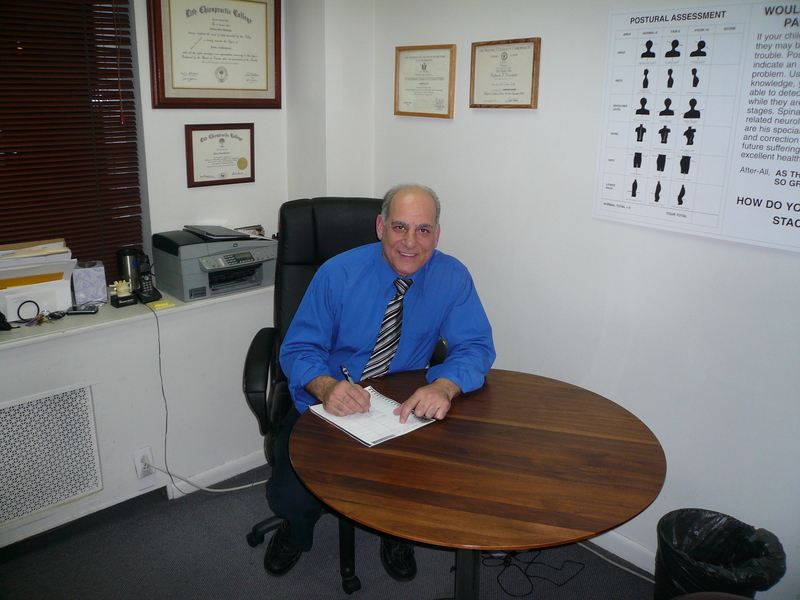 Dr. Richard Nunziata has been a licensed Chiropractor since 1984. Dr. Richard Nunziata has been freeing people from pain since 1984 in his clinic in Brooklyn, NY. As a Chiropractor with experience, our professionals are committed to promoting the health and well being of his patients.Dr. Nunziata uses a 'whole person approach' when taking care of his patients. By combining the very best hands-on-technique, state of the art physiotherapy procedures, and providing the newest and best natural vitamins and mineral supplements on the market today, Dr. Nunziata is able to help you to accelerate and/or maintain your journey to good health. "Coming Soon . . . . . ."